Think you can live up to his ‘Great Expectations’? Smartphones may be taking over our lives, but there is still something so damn fine about a guy who loves to read. 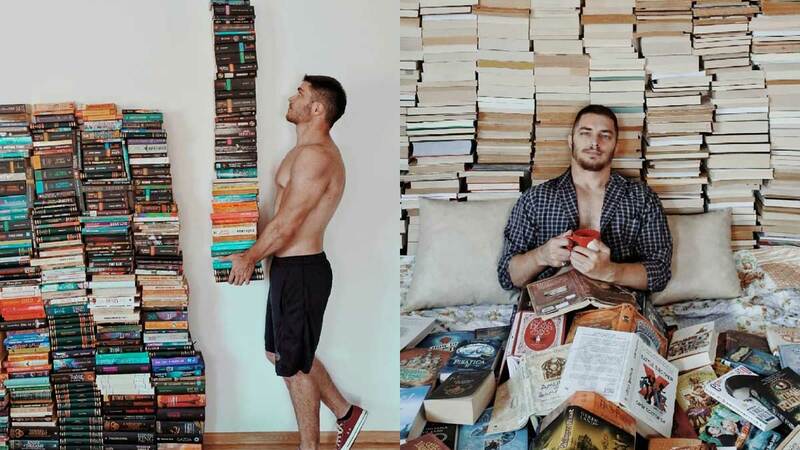 James Trevino, a certified “bookstagrammer,” has close to 200,000 followers on Insta. This smarty blesses the Internet with stylized photos of him posing with his book babies. He now has over 1,000 books in his collection, and he’s not stopping there. We know you want to click that “Follow” button, girl. Don’t be shy.